We believe that all of our patients benefit from a yearly examination, which is usually done at the time of vaccinations. The state of Oklahoma has approved the use of 3-year rabies vaccines, but some areas of the state still require annual rabies vaccines, so your veterinarian will help you decide which vaccine option is right for your pet. We highly recommend annual DHLPP vaccines for young dogs and FVRCP/FELV vaccines for young cats. As the pet becomes older the interval between vaccinations will lengthen. The yearly physical enables us to have an ongoing record of your pet's health, and your pet's doctor will keep you advised of the different needs of dogs and cats as they mature. 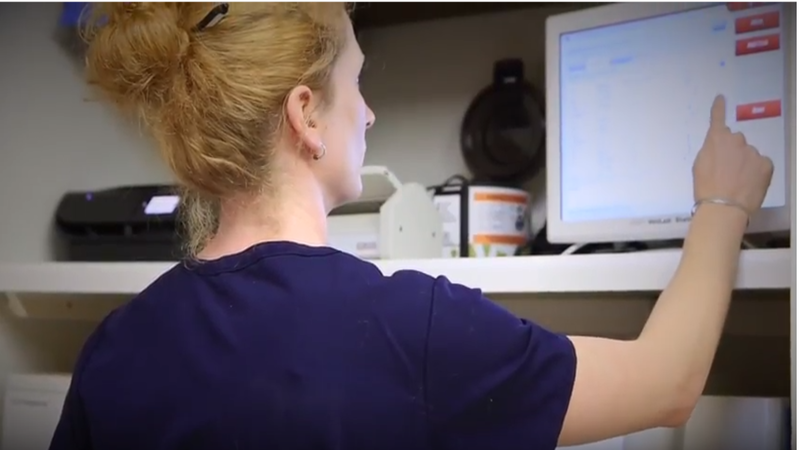 The staff at Wedgewood is dedicated to preserving the health of our patients and we encourage an in-depth approach to animal health. We offer an on-site laboratory, sophisticated intensive care and dental equipment, and full diagnostic digital radiology. Surgical patients are usually required to submit blood and/or urine samples for pre-surgical analysis. We use only the safest anesthetics available, including isoflurane gas, and all surgical patients are monitored for heart rate and oxygen saturation. Body temperature is maintained by warming equipment for each patient. Procedures are discussed with the veterinarian prior to initiation, and options as far as extent of treatment and fees are thus understood. We have been fortunate to care for dogs and cats belonging to many people who consider these animals as members of their families, providing these clients with the very latest in diagnostic and surgical procedures. We have initiated and coordinated ongoing therapy for cancer patients, including surgery and chemotherapy, with very favorable outcomes. Dr. Lee has extensive experience in emergency and critical care and is an invaluable resource in these areas. Dr. Heintz and Dr. Belcourt have a special interest in surgery and routinely perform several of the more difficult canine orthopedic procedures, including patellar and cruciate ligament injury repairs. The veterinarians at Wedgewood encourage you to be an active participant in your pet's health care needs, and will try to help you with any questions or problems you may have. We have access to numerous board-certified veterinarians in the Oklahoma City area should we have the need for specialists in internal medicine, surgery, ophthalmology, or dermatology. The clinic is open from 7:30am to 6:00pm Monday through Friday and from 7:30am to 12:00pm on Saturdays. Boarding animals may be picked up between 4:00 and 5:00pm, if prior arrangements have been made on Sunday's. For medical problems, we prefer to work by appointment, but are available for emergencies when they arise. We do close for major holidays, but an excellent critical care and emergency service takes calls when we close in the evenings and for holidays. Payment of veterinary fees is expected as services are provided. Our charges are comparable to other clinics providing high quality services in this region. We encourage discussion of fees before services are initiated. Any problems anticipated as far as payment of fees should be discussed and remedies agreed upon concerning payment plans for large balances. Wedgewood accepts all major credit cards.